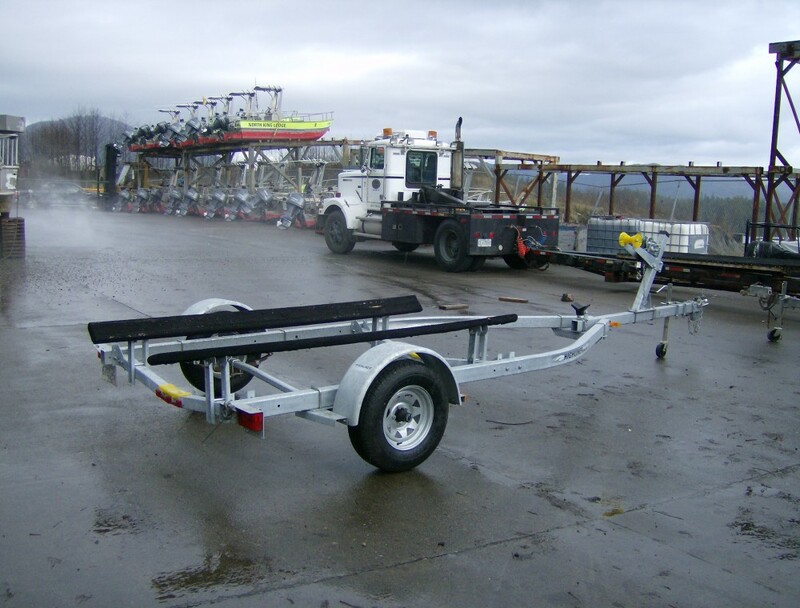 Both carpet bunk trailers and roller trailers are available in single, tandem, and tripe axle configurations, making it easy to find the right boat trailer for your specific needs. 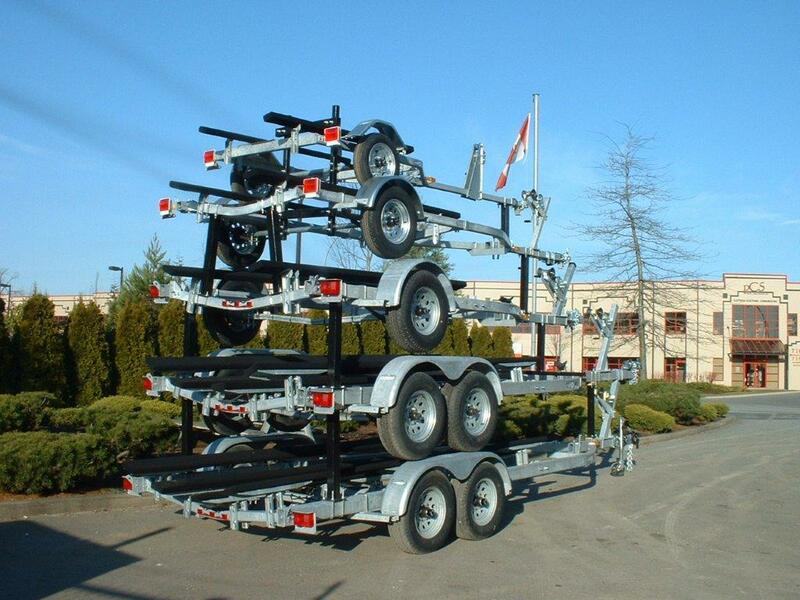 All carpet bunk trailers and roller trailers from Bridgeview Marine are also available with or without brakes, offering easy transportation from one location to the next. 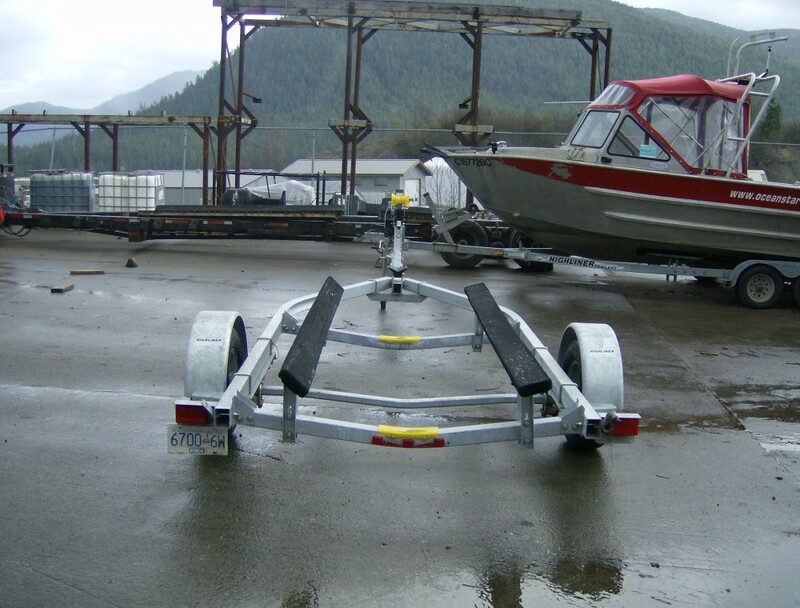 Highliner boat trailers offer better performance, durability, and ease of use for your recreational pleasure boats. 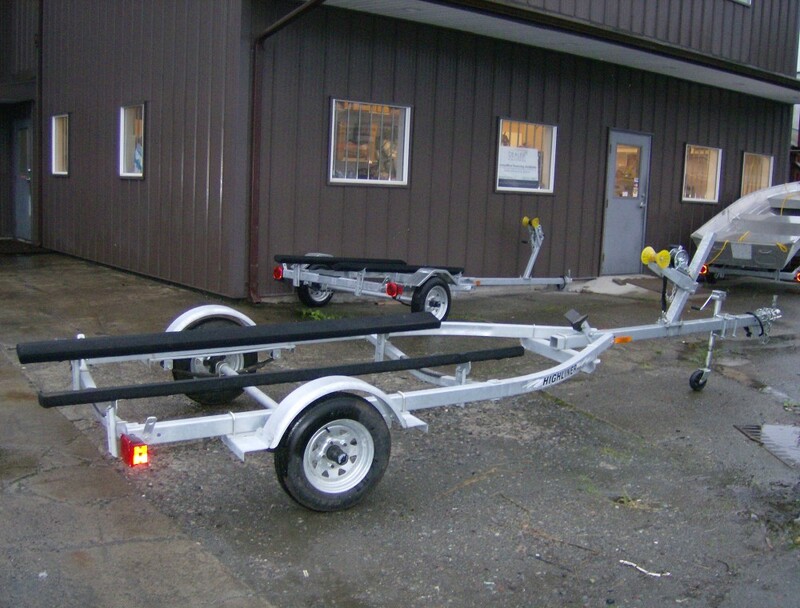 This type of boat trailer is made from a heavy-duty construction, galvanized steel frame that features superior resistance against corrosion. 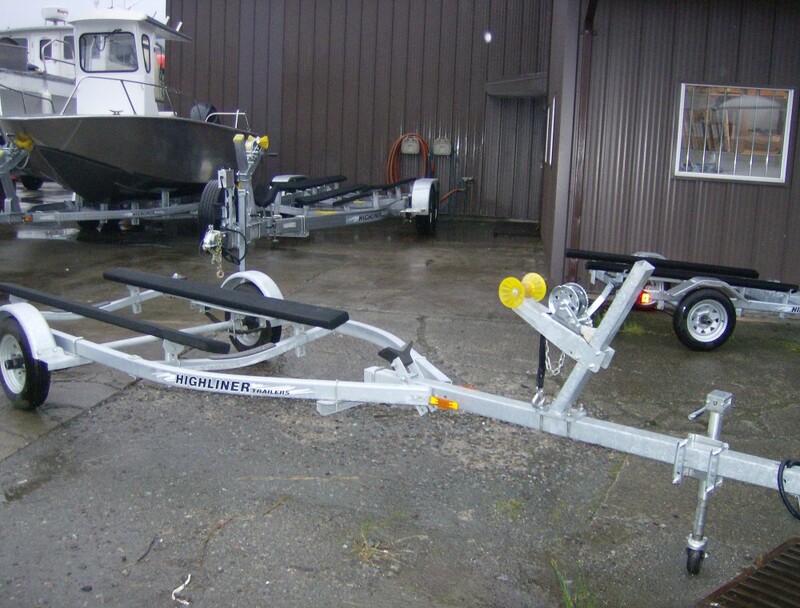 With the best corrosion-resistant salt-water brakes available on the market (in hydraulic drum, hydraulic disc, or electric*) and an optional freshwater brake bath kit, Highliner boat trailers are built to last for years on end. 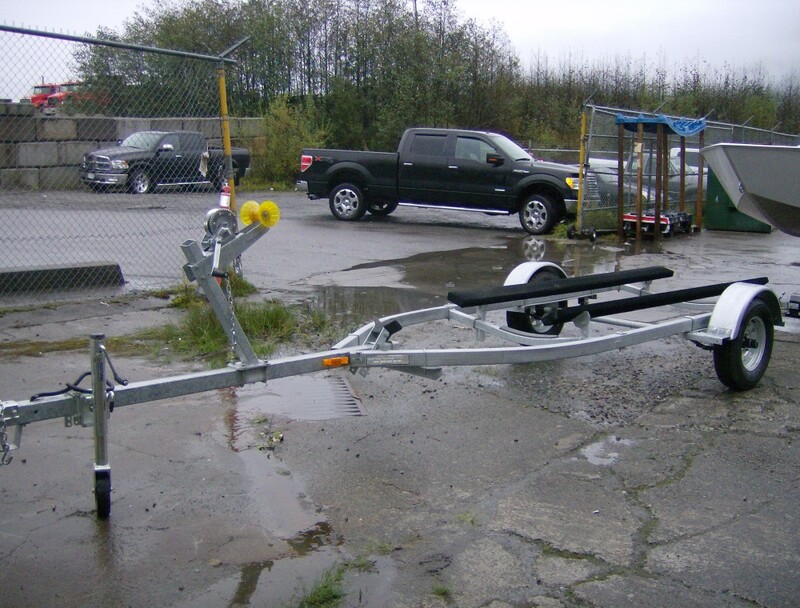 All Highliner boat trailers carried by Bridgeview Marine were designed and built in Tilbury Industrial Park in Delta and are compliant with all applicable Canadian regulations. 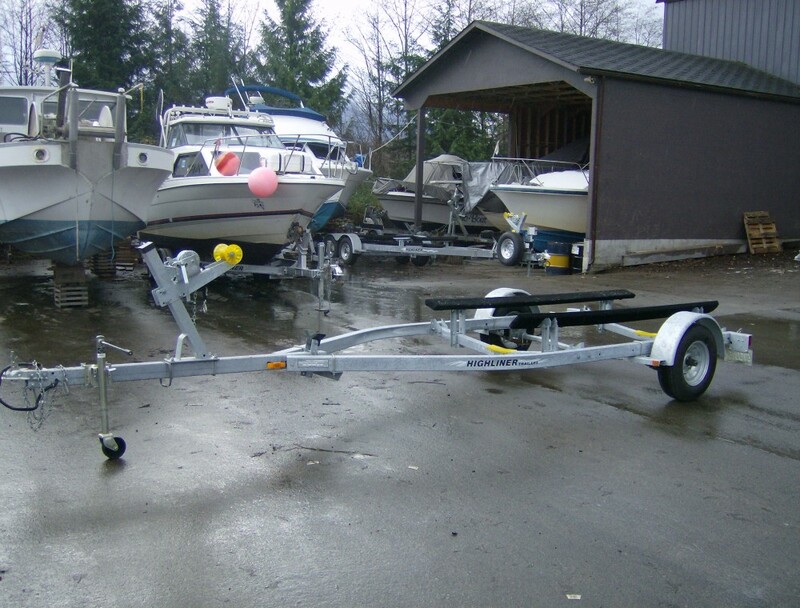 This type of boat trailer also comes complete with services and parts, as well as a 5-year structural warranty, for longer use with fewer worries and hassles. 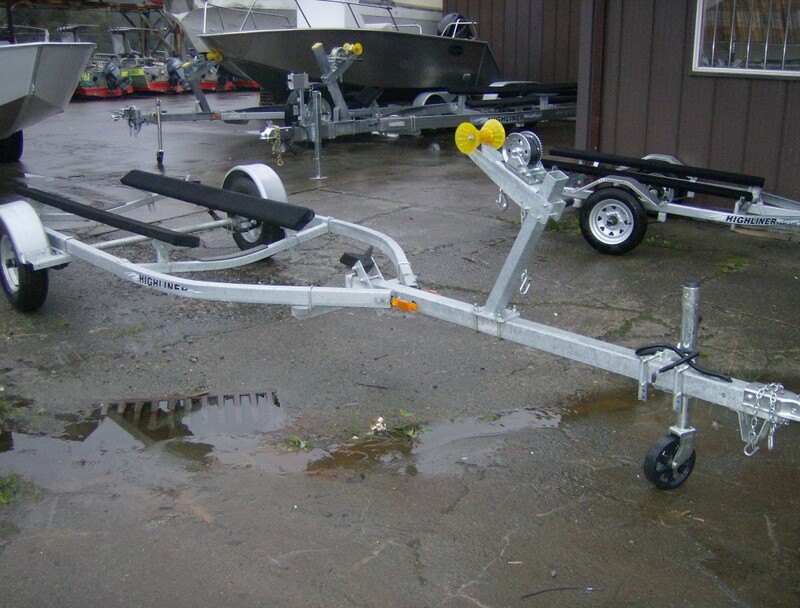 *Electric brakes have limited ability and are not recommended for salt-water use. 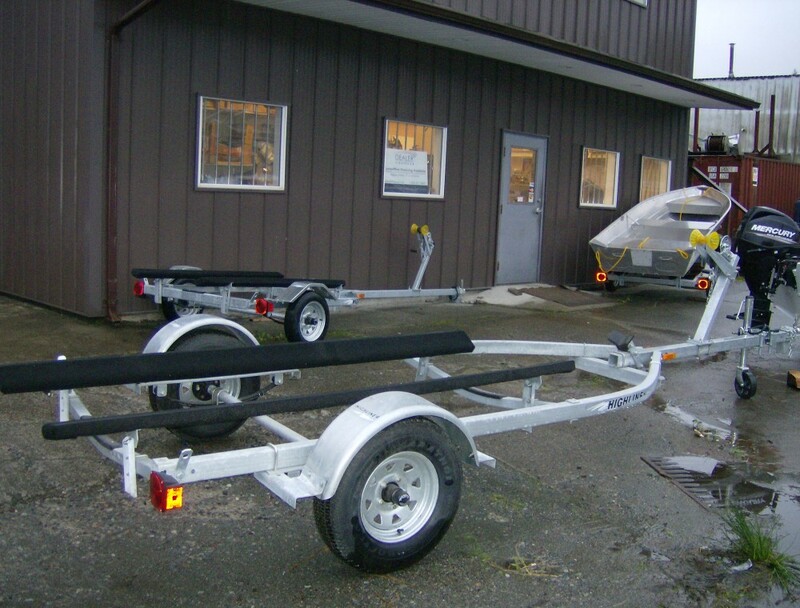 If you would like to learn more about our selection of new boat trailers or if you are unsure about which trailer will work best for your boat, we can help. 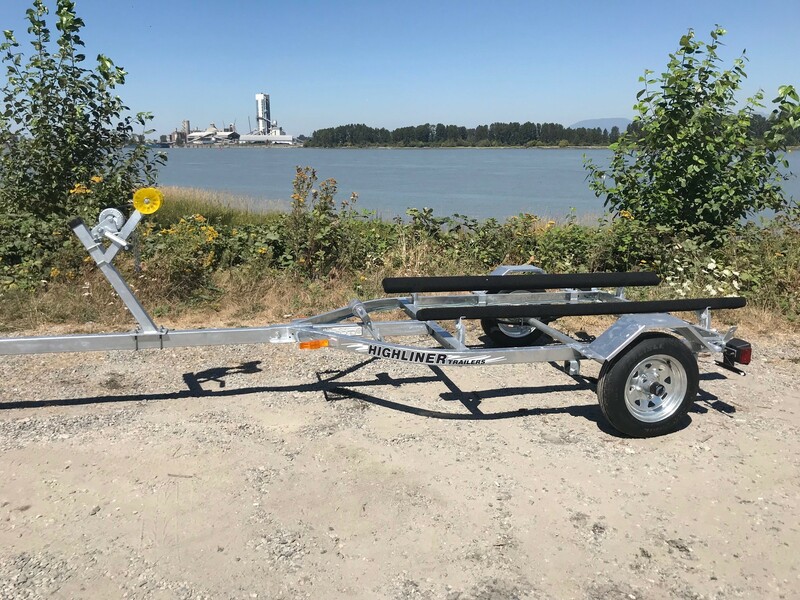 Contact us today at one of our three locations (Delta, Prince Rupert, and Sandspit) or by filling out an online contact form, so that our team of highly trained professionals can help you find the right trailer for your specific needs.